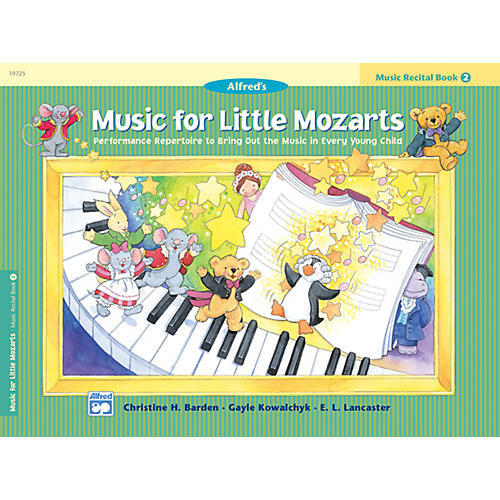 The Music for Little Mozarts Recital Book 2 includes motivational music to reinforce performance concepts that are introduced in the Music Lesson Books. Recital Book 2 also provides extra material for students who move quickly in group lessons. The book includes an all new story about Beethoven Bear, Mozart Mouse and their music friends, as well as familiar music for performance.